Use this form to recommend physical or electronic purchases for library collections. 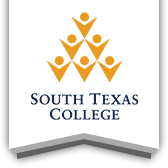 Suggestions for purchases from our faculty, students, staff, and the community help enhance the South Texas College (STC) Library collection. Decisions regarding the collections are guided by the Collection Development Practices document. Although the STC Library may not be able to acquire every item requested, suggestions from our stakeholders are valued. Anyone may recommend an addition to the library collection, i.e. print, audiovisual, electronic resource, etc., by filling out the Library Purchase Request form. Faculty members may also request purchases by contacting the Library Liaison assigned to their academic discipline. Interested faculty members may also wish to participate in the Collection Development Advisory Committee, which provides advice and guidance to library staff involved in collection development activities. The goal of the Committee is to promote the efforts of the library to meet the information needs of our users. Find recommended titles by discipline in the online edition of the new Resources for College Libraries, which is a core list of 65,000 titles selected by over 300 subject specialists and bibliographers for academic libraries. Review catalogs from several hundred publishers in a wide variety of disciplines from a single portal.